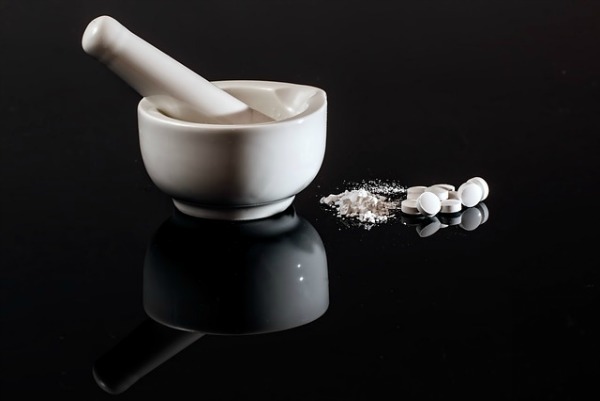 Makeup has become a part of life for most women. 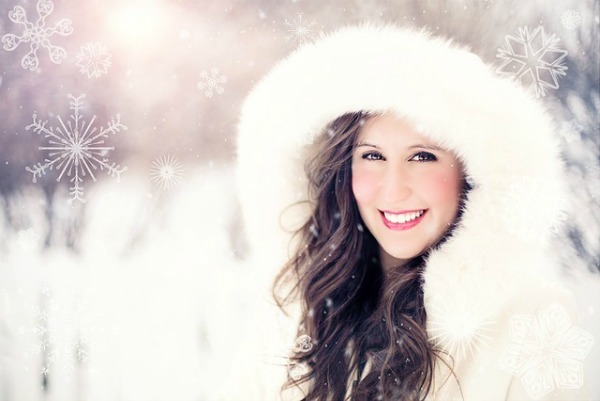 We all want to look presentable on special days and even on a daily basis. We lookout for simple ways to do our makeup, so that it does not feel made up . A tiring and long makeup routine will not be a wise choice for a Working woman. Daily makeup looks should be very less visible and more wearable , even to work. many woman have to maintain dress codes at work so natural makeup looks come in handy. Eye makeup is an important part of daily makeup and you should definitely learn how to do subtle eye makeup for everyday eye makeup. Today, just using liner is not an option and you can definitely try different styles of Natural Eye Makeup even with very less time in hand. You can try Natural Eye Makeup for your everyday looks as they are really easy to achieve and can be carried off at work, at a casual munch date or simply everyday. We have some Natural Eye Makeup for you to try out tomorrow morning. Natural eye makeup has been a trend which has been prominent since the las year and even in Spring it will be in vogue. 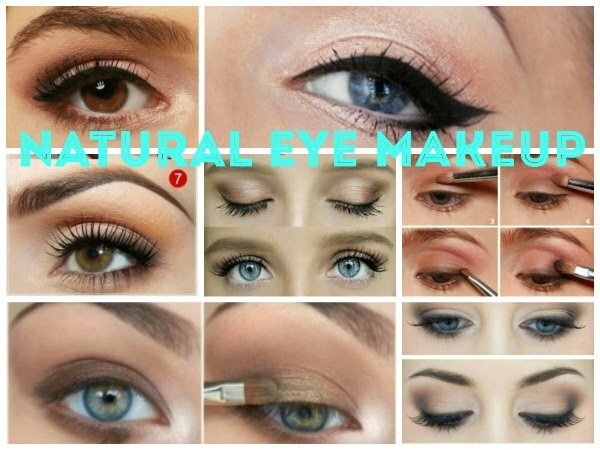 So its high time you get some great inspirations for natural eye makeup looks. We have picked out some of the most interesting and unique eye makeup looks . Using a dark brown shadow for the eye makeup is a good bet if you have Blue eyes. Brown shades go well with blue eyes and if you want to add a little bit of black shadow too , it can look great. The eyes should be tight lined with brown liner and the eyelashes here is provided length and volume by adding false lashes. This again is a Brown natural look which features a brown and pale gold eye makeup which is very subtle. This look will go well for a casual date or even at your office. For this look the eyes have been tight lined with black liner and the lashes have been curled. If you love winged liner then you will definitely love this more natural and easy to carry version of your favorite winged liner look. In the first step the eyes are slightly highlighted with a wash of white/ N#de shadow and then a brown shadow is used to define the crease. Later a brown gel liner is used to make the winged liner, but it is later smudged to give a more natural feel . This Eye makeup will make your eyes look more awake and large. You can use a pearly beige shade on your lids as a wash and blend it well . Use a shade like pink or brown to define the crease and then line the upper lid with a winged liner. 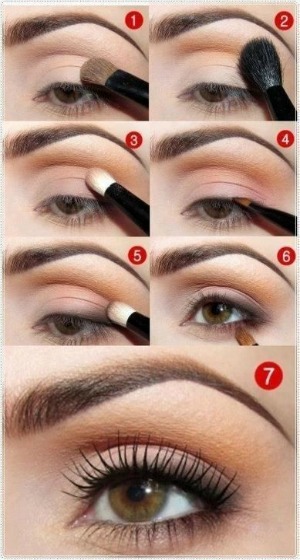 Use a N#de or white eye pencil on the waterline to make your eyes appear larger. 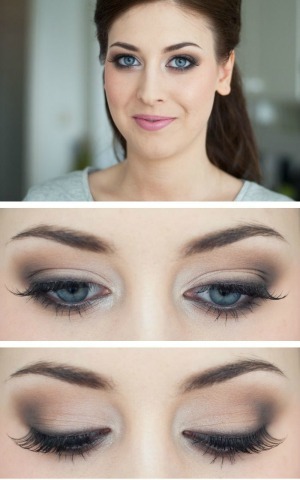 This very wearable look is a great option if you’re looking for natural eye makeup looks. Here the ‘Too Faced Chocolate Bar’ palette has been used but you can definitely get the same shades from any brand or palette. Choose a matte pink and a matte brown from your shadows. Then use the pink shade all over the lid and define the Crease and Outer Corner using the brown shade. Finish off the Eye makeup using a slight winged liner on your upper lid . Curl your lashes and apply a few generous coats of mascara to complete this natural makeup look. A metallic shade also looks good if you want a natural eye makeup look yet don’t want it to be dull. 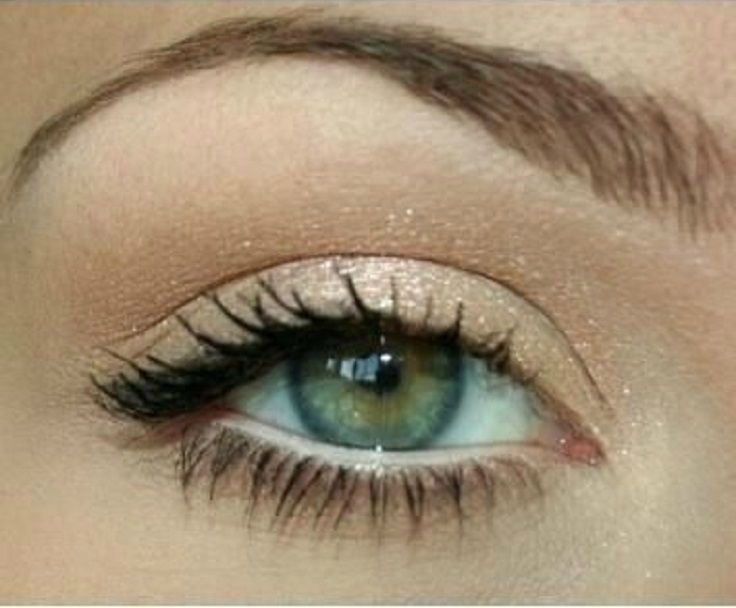 Use a pearly or metallic shade of champagne, pink or peachy shade on the eyelid. Use a highlighter shade , preferably matte on the brow bones and line the eyes with dark black eyeliner in a winged style. This Natural eye makeup look uses a bit of metallic shades which you can definitely substitute for matte shades. The pale bronze gold shade is used all over the lid and a slightly darker shade of brown is used at the crease. Using a good blending brush the shades are blended together and the lashes are curled . A few coats of mascara makes the whole eye makeup complete. This very natural and no makeup look is perfect for Offices that are strict about employees wearing makeup. You can use a N#de or beige shadow all over your lids and then using a slightly darker shade define the outer ‘V’ and Crease. Blend well, so that no definite lines are visible and then Curl your lashes and use good amounts of Mascara to lengthen and make them voluminous. A wash of pink looks great for an everyday eye makeup look a natural eye makeup look. Here a pale shade of pink is used as a wash . Then a brown eyeliner has been used to tight line the upper and lower eyelid. Then liner has then been smudged to give a more natural look. A pink and brown Natural Eye makeup is the perfect way to do your Lunch date makeup. The pink and brown shades go extremely well together and give your eyes a defined yet not too artificial look. The Dark brown eyeliner further defines the eyes but still does not look too harsh. So, now you should have plenty of ideas regarding what Natural makeup look you want to go for. It is a very popular and daily look and you can do it in many ways. Use natural and earthy shades or pink based shades for a feminine and natural eye makeup. Blending also stays an important part of this eye makeup look so use your blending skills . Share which look you loved the most below.